There are three exciting new releases on Xbox One today so let’s get right into it. First is Yooka-Laylee from open-world platformer experts Playtonic. Players take control of the dynamic duo and fight Capital B to prevent him from stealing all of the Pagies from Laylee’s book. Players will explore five unique large worlds while on the hunt for collectibles and new abilities. 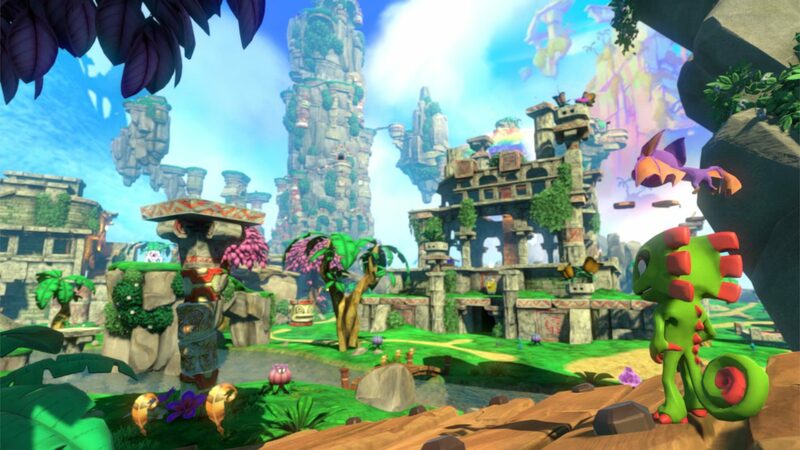 In addition to genre veterans crafting the gameplay the soundtrack is helmed by David Wise and Grant Kirkhope of Donkey Kong Country and Banjo-Kazooie fame, respectively. We rated it “Must Buy.” Yookay-Laylee can be purchased here for $39.99. Next up is Aaero from Mad Fellows. Aaero is an electronic dance music game that has players flying through musical ribbons and shooting down enemies. Players have 19 different songs to choose from, each of which has its own beautifully designed level. We rated it “Highly Recommended.” Aaero can be purchased here for $14.99 but is currently on sale for $11.99 for those with a Xbox Live Gold Membership. The length of the sale is not listed. The last game to talk about today is Crawl from Powerhoof. Crawl is a dungeon crawler where the player controls the monsters. Players possess traps and beasts as a malicious spirit haunting a hero. If successful the spirit will be reborn and becomes the next hero to make a journey into the dungeon. 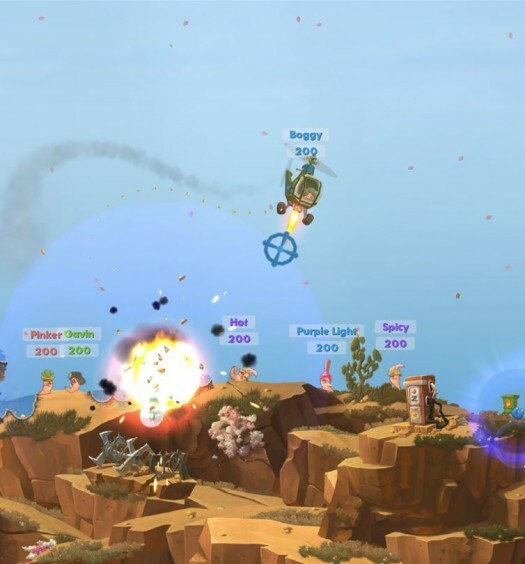 Add friends to the mix through the game’s four player local multiplayer that has friends racing to gain enough XP and loot to be victorious. Crawl is available for purchase here for $14.99 but is on sale for $11.99 for everyone for the next eight days.